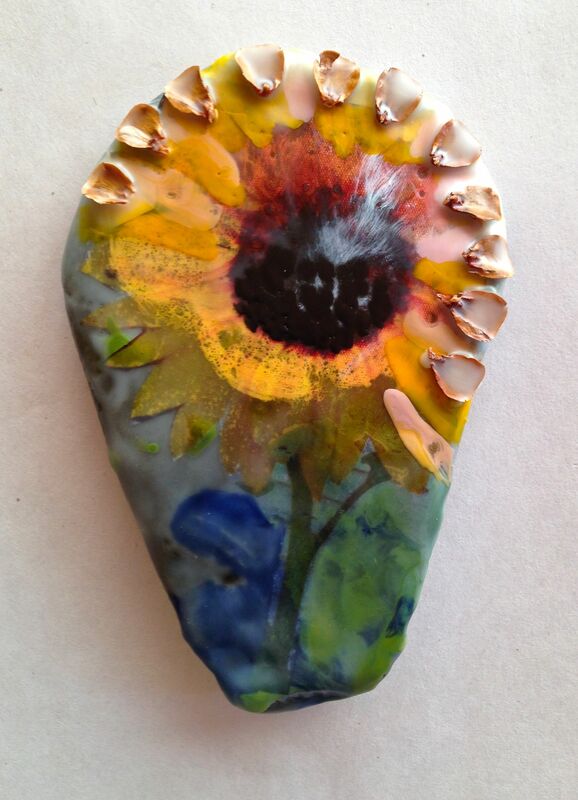 This piece was inspired by all the great sunflowers that are blooming right now in Maine. These were fairly small ones, right outside the little pizza place in Winterport Maine. Pine cone sections from the trees in my yard. Stone from the beach, penobscot bay, Stockton Springs, Maine.